2015 has been amazing - as I knew it would be. My spring and early summer tours were packed with new and exciting friends and challenges. I traveled tens of thousands of miles setting the scene for a July and August at home in our garden. And that is amazing! Describing the beauty and comfort of any garden is difficult to do in words so let me add a single picture. In the background, our McClure heritage home. In the foreground, our rose garden. In the far right...middle...our gargoyle Geoffrey. Hidden in the far back right, my shack. I took a few days in early July and headed home to Saskatchewan for Back to Batoche days. 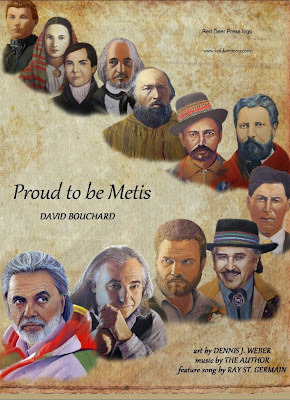 Funny thing that, though I am Metis, my family had few links that I know of with Batoche. I was born in Quill Lake, Sask. as our hamlet of St. Front has no hospital. My late father's family moved there from Lac St. Jean in northern Quebec (...they were of Innu bloodlines). My late mother's people (...of Ojibwa and Osage bloodlines) were from South Dakota and before that, Bay Settlement, Wisconsin. They moved up to Saskatchewan and settled in Bronco then in Ponteix. 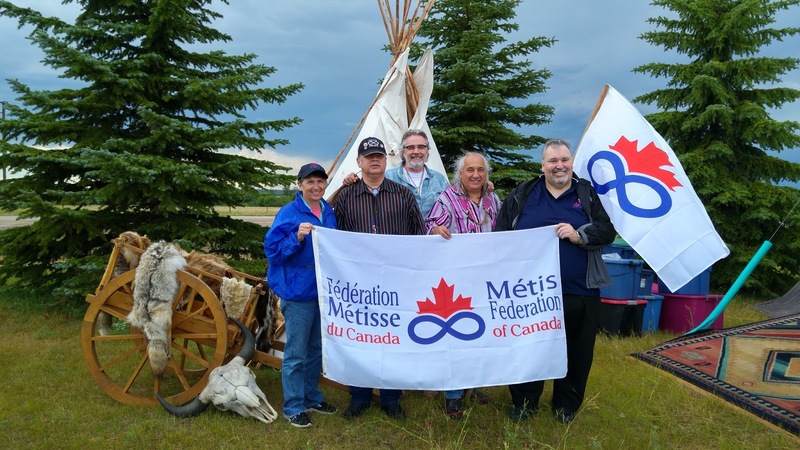 No, we have no real attachment to Batoche and yet, the spirit of the Metis people gathered there welcoming all Metis people was wonderful. There is nothing like a Metis gathering. So here I sit, in my shack on a beautiful ...whatever day... blogging, touching up my new website (...that should go live this coming week) and working on upcoming books. First in line is a book on reading. A decade ago, I wrote The Gift of Reading and followed that up with For the Love of Reading. This new book will also focus on reading but with an Aboriginal focus. Kokum, I can Read is being published by Goodminds of Brantford and edited by the tremendously talented Suzanne Keeptwo. I am also putting the finishing touches on Proud to be Metis. 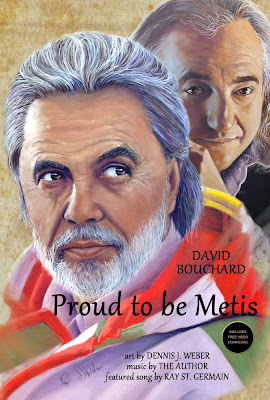 This is a second book with Metis friend and artist Denis Weber. The book is being designed by Denis' wife Sharon who is herself an amazing artist. My friends at Red Deer Press hope to release this book in the spring. 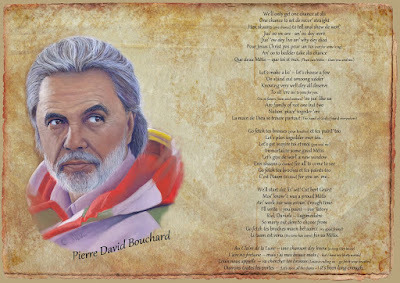 In Proud to be Metis, Denis has done portraits of a dozen Metis people (...one is actually not Metis but is the Grandmother of a long line of important Manitoba Metis of her Scottish roots). 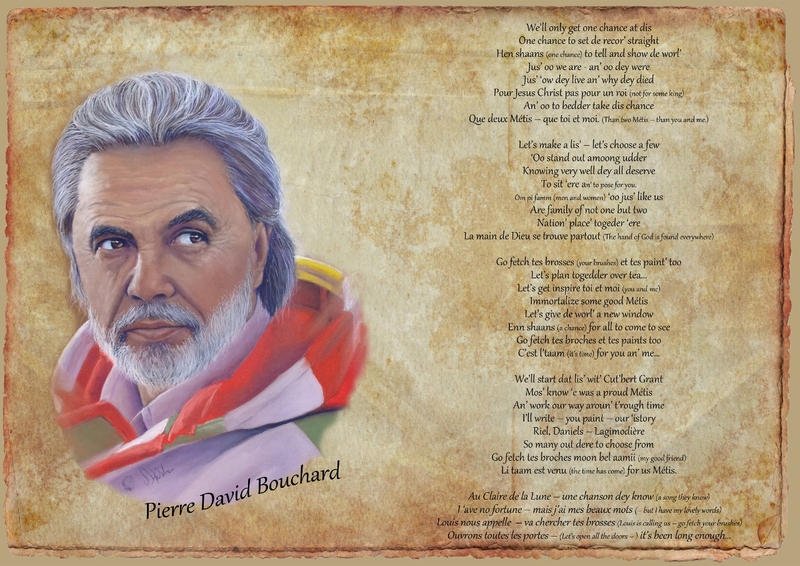 Much like my earlier book, The Journal of Etienne Mercier, I have written this book in Franglais - French and English combined with Michif words (as per the Gabriel Dumont's dictionary) highlighted throughout. Oh...do you care to test your Metis history? Go ahead and give it a whirl...knowing that my Grandfather is showing right below Louis... And the gray haired fellow behind Gabriel is Pierre Falcon.